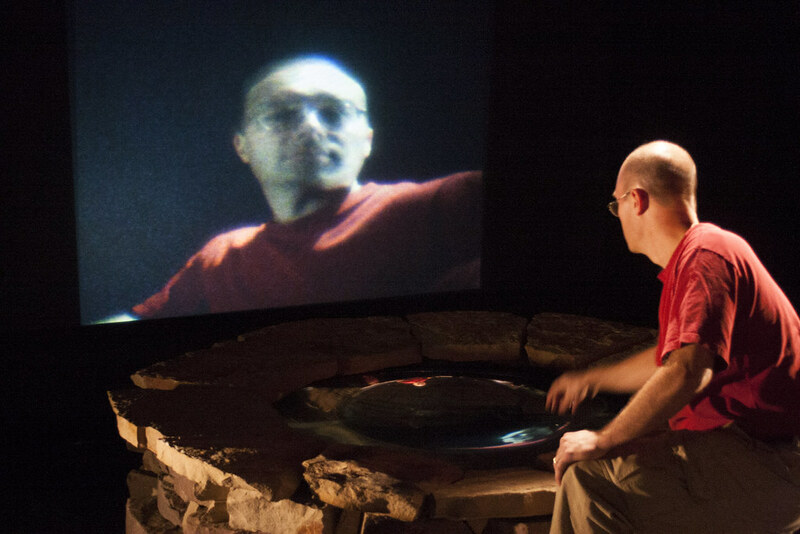 Narcissus’ Well is an interactive multimedia installation that investigates how we are absorbed in the ephemeral, the intangible, the invisible, and the faraway – the quest for self-knowledge mediated through technology. The installation employs a configuration of concave spherical mirrors and real-time digital imaging, in which the spectator interacts with what is described optically as a “real image,” a rendering of his or her own mirror image extruded three-dimensionally into the physical space. Interaction with one’s mirror image in the installation, like that of Narcissus’ futile attempt to embrace himself in the agitated waters of the reflecting pool, leads to a spectacular audio-visual dematerialization of the viewer experience: a dissolution and immersion in water. Narcissus’ Well was inspired by the Pepsi Pavilion, created by E.A.T. for Expo ’70 in Osaka, Japan. 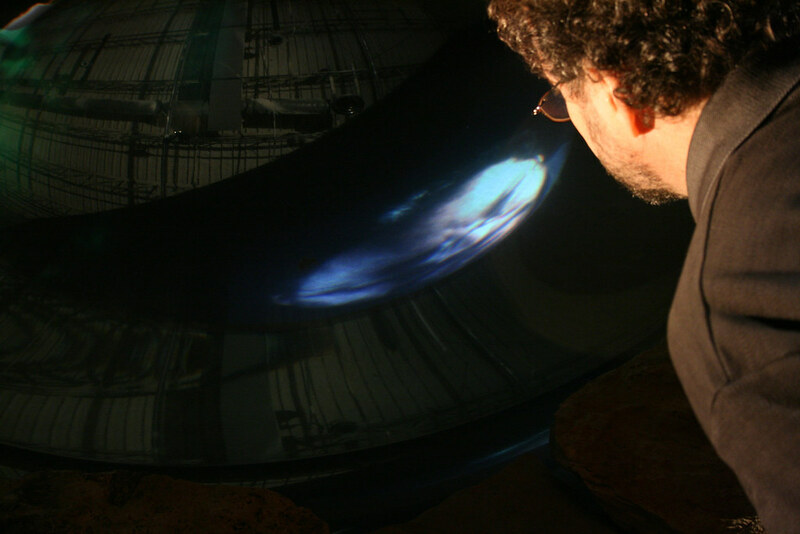 The spherical mirror used in the Pepsi Pavilion, with its transformative optical effects producing real images, was the starting point for this project. Billy Klüver, founder of E.A.T. was the catalyst for the collaboration between optics engineer Joe Howard and myself. Created in residence at the NASA Goddard Space Center, Greenbelt MD in collaboration with Joe Howard (optics engineer), Gregory Kuhn (installation designer), and Wesley Smith (software designer). 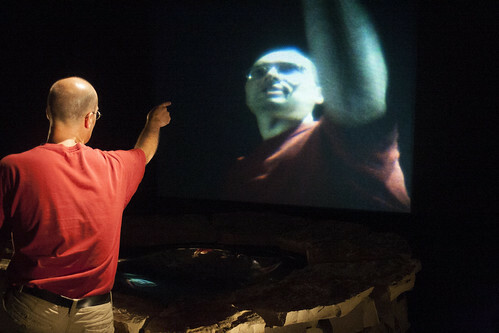 Narcissus’ Well was included in the Take Me to the River exhibition at the Witchita Falls Museum of Art at Midwestern State University, Witchita Falls, Texas, August 17 – December 5, 2006. 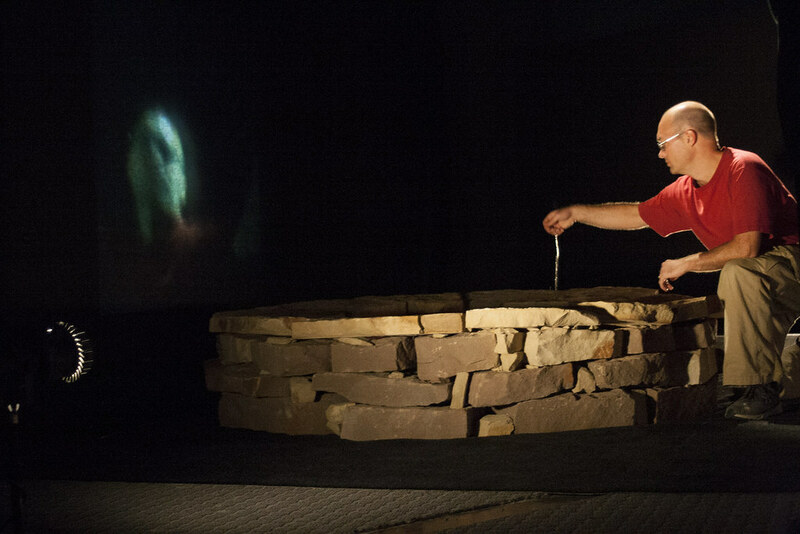 Joe Howard drips water into the stone well to activate sonic and visual distortions in the reflected image. 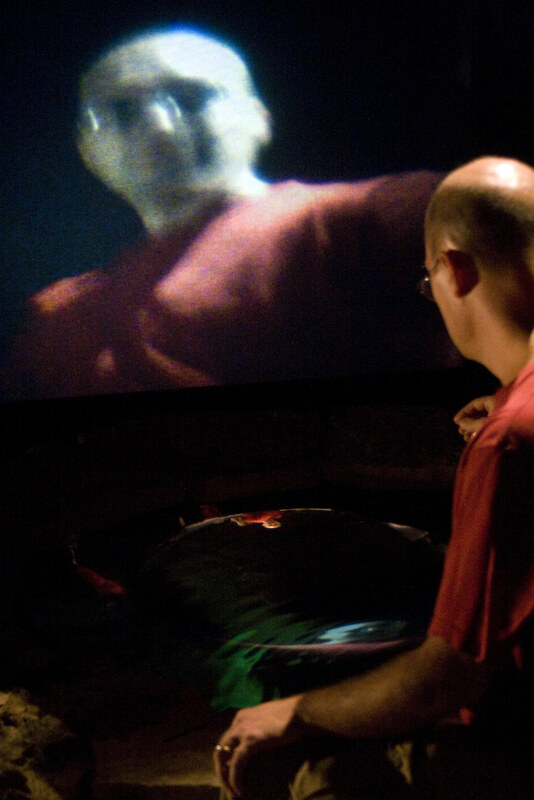 The image is reflected on the surface on the water and its undulations are transferred to the projected video. The installation critiques our fascination with our own image reflected and mediated. 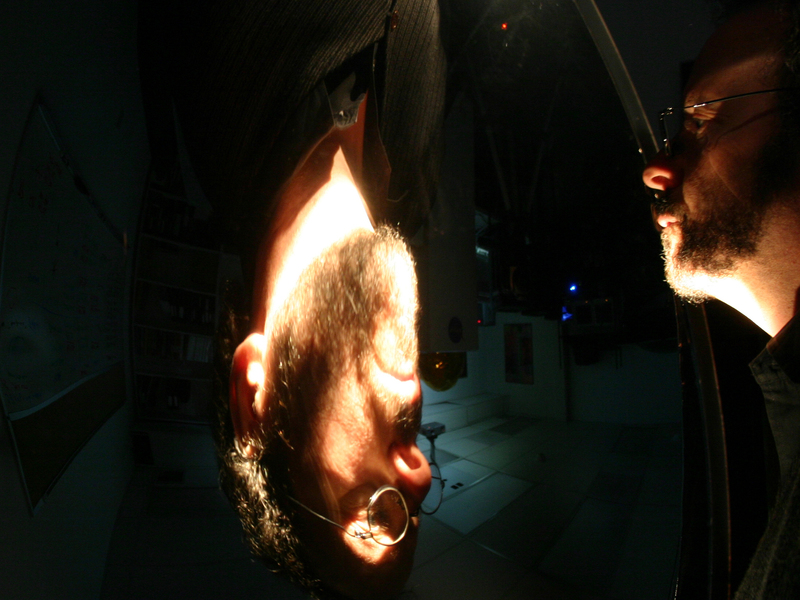 The media reflection of the self is seductive in its transformations. 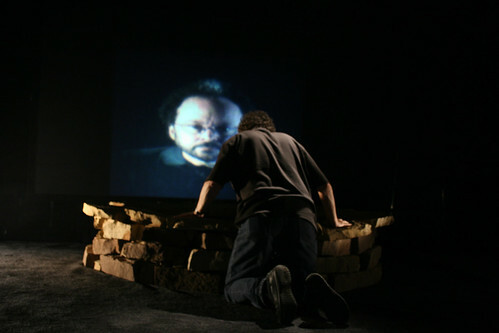 Randall Packer peering into the well, where the image of oneself is distorted, a reflection on the mediated experience. One loses oneself in the captivation of the reflected image. The effect of mediation is daily experience that the work critiques in its distortion and amplification. The self becomes submerged in reflection, much like the way in which we are absorbed by the effects of media.